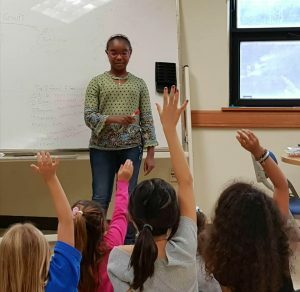 At just 10 years old, Alannah Williams knows what it means to be a caring sister and a successful entrepreneur. 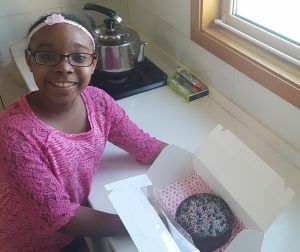 Alannah has launched her own bakery business, one that caters to people with a sweet tooth and food allergies. 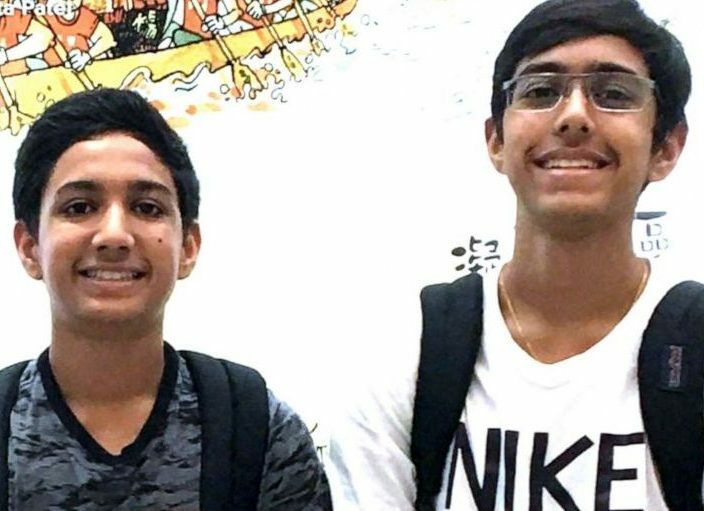 Although she doesn’t have any allergies, Alannah is very familiar with the lifestyle of an food-allergic person since her younger brother Joshua has multiple allergies to peanut, tree nut, milk, egg, soy and sesame. 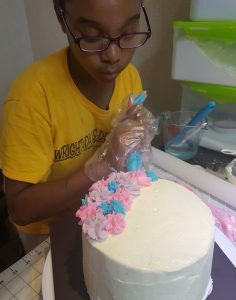 Her passion for baking is so strong that she started Dance Like a Cupcake in the summer of 2016, a company that specializes in making allergy-friendly versions of classic desserts. Her 6-year-old brother is her inspiration. 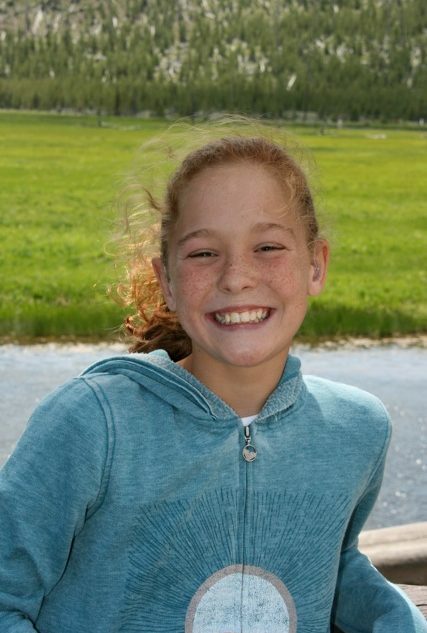 “Every time my family and I went out to eat, Joshua couldn’t have any of the desserts,” Alannah tells Allergic Living. The Williams are a military family and have lived overseas in South Korea and recently moved to Germany. “In Korea, we had limited allergy-friendly desserts,” said Alannah. 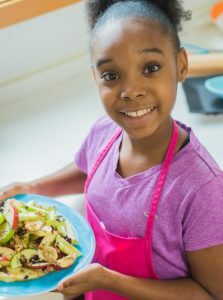 So she started experimenting in the kitchen to make cookies, cakes, cupcakes and power bites, free of her brother’s allergens. Alannah plays an active role in keeping Joshua safe by helping him check ingredients on packaged foods to ensure they don’t contain any of his allergens. “Even though I don’t have food allergies, it’s really cool eating things that he can eat too,” Alannah says. The young girl started baking with her mother, Katherine Williams, when she was a 4-year-old. “As she got older, she would get online and research substitutions and recipes. Then she would ask to go in the kitchen and bake,” said Williams. 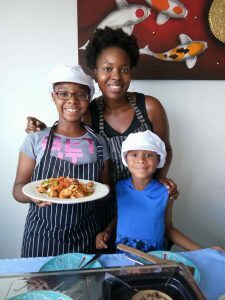 “Then she started creating her own recipes.” Alannah adapts current recipes, but also isn’t afraid to come up with her own creations. Alannah with her brother, Joshua. 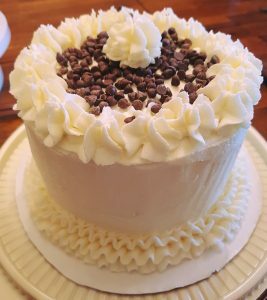 On the Dance Like a Cupcake website, she features allergy-friendly classics – Very Vanilla Cupcakes, Rockin’ Red Velvet, Oatmeal Raisin or Chocolate Chip Cookies, Mini ButterCups and more. The Williams have a “dedicated dairy-free, tree nut-free, peanut-free and egg-free kitchen at all times.” The website also states that they have protocols in place to avoid food cross-contact. Alannah has spoken to a Girl Scouts group at an air base in South Korea, educating them about the top 8 food allergens. 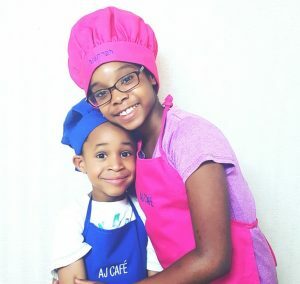 “I want to teach kids about food allergies, show them that baking is fun, decrease food allergy bullying and inspire girls to own a business,” she says. Williams says moving around “definitely takes some getting used it,” and that the language barrier makes it difficult at times. They always travel with safe snacks, epinephrine auto-injectors and antihistamines. 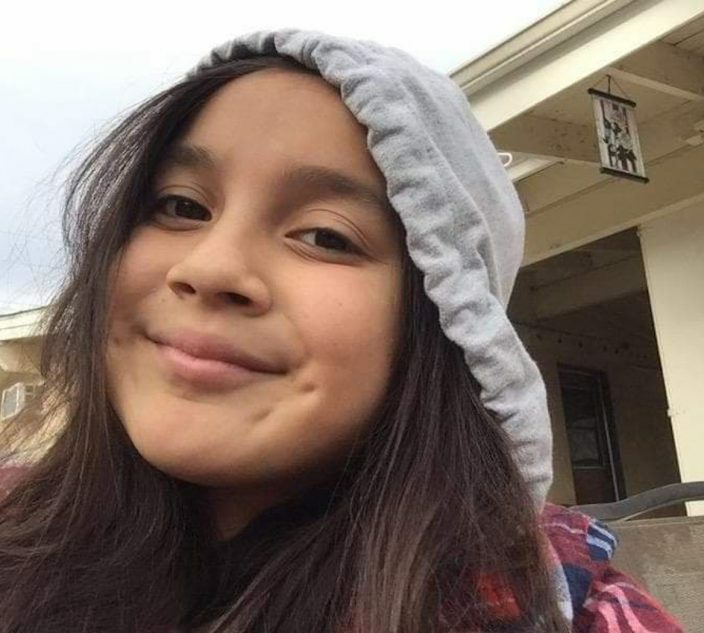 For those wondering if they can order treats from Dance Like a Cupcake, Alannah will start local deliveries in Germany once she gets her license and approval from the military base where her family will be located. Meantime, Alannah happily shares her recipe with Allergic Living readers for delicious allergy-friendly truffles. Alannah and Joshua with their mother, Katherine. 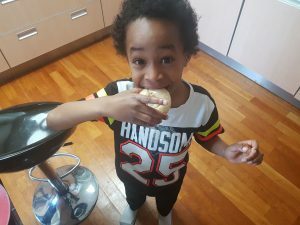 Joshua eating a safe doughnut that Alannah made for him. Allergy-friendly chocolate ganache, topped with sprinkles and dairy-free chocolate chips. Two-layer red velvet cake with vanilla buttercream; free of eggs, milk, peanuts and tree nuts. Alannah speaking to a Girl Scouts group in South Korea about food allergies.